Review of Architectural Design Drives the Biogeography of Indoor Bacterial Communities – microBEnet: the microbiology of the Built Environment network. 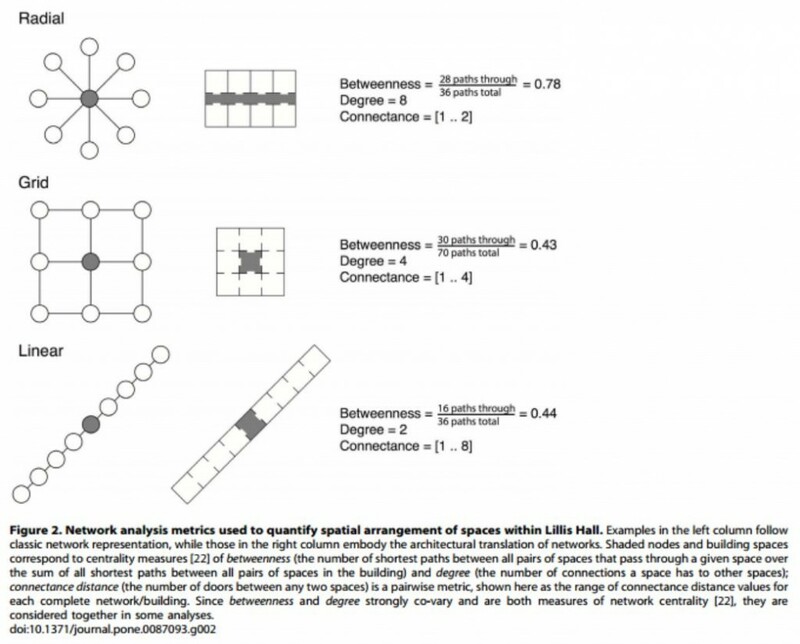 Researchers at the University of Oregon recently published a paper examining the connection between architectural design and microbial diversity in our buildings (Kembel et al. 2014). Although occupancy type was identified as the strongest predictor of microbial variation, several other factors were investigated and found to be correlated with microbial diversity as well. What I found the most interesting was the correlation between the building design and the human density for each space. In spaces where human density was low such as offices, building design played a stronger role in predicting the microbiome than human activity did. For example, the largest variation of microbial diversity in offices was attributed to the air source. Naturally ventilated offices had a distinctly different microbiome than offices which were mechanically ventilated. In high human density spaces such as hallways the microbes present were attributed mostly to human activities and building design had a smaller impact. This study was the first that I have read that investigated the correlation between the microbiome of the individual rooms and how they are connected. I never considered how complex quantifying this parameter might be when considering connection type (ventilation vs. doorway), distance, degree of connection etc. Figure 2 reproduced from the paper, describes how the connection was determined. A strong correlation was found between the centrality of a space and its microbial diversity, and this correlation stems from the fact that high centrality increases human traffic through the space. It was suggested that one way of controlling the microbiome of certain spaces would be to consider room centrality when designing a building to regulate human traffic through certain areas, therefore regulating the microbes present in that space. This study is a step forward in understanding how our building designs and our activities mold the environments in which we live and work. Further studies will be needed to refine the influence of these variables as well as to investigate other variables such as geography, which was not accounted for in this study. In conjunction with this research it is very important to determine which microbes have a positive impact on our health versus which microbes can have a negative impact. In the future we can use this research to tailor the designs of our buildings to foster a healthy microbiome in our buildings. Amanda Makowiecki is a graduate student in the Miller Research Group at the University of Colorado Boulder.